SlayerS was and still is led by The Emperor, BoxeR, himself. Along with other Terran players like MMA, Ryung, Ganzi and Taeja, SlayerS arguably had the strongest Terran line up in SC2. However, things have changed since early 2012. Let’s start with BoxeR, the legend himself. BoxeR announced in April 2012 that he would take a break as a player because he wants to focus on rehabilitation for his shoulder. He assured fans that he is not retiring yet. Later, BoxeR hinted in an interview that he should come back when Heart of the Swarm is released as that is the best opportunity to catch up with others. 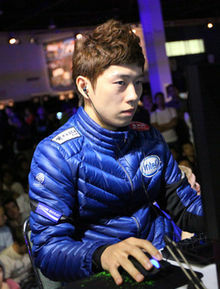 MMA ended 2011 with a victory in the Blizzard Cup 2011 against DRG. As much as many expected him to get even better in 2012, MMA had been under-performing since the turn of the year. MMA only managed to reclaim a Code S spot recently after a series of bad performance. Recently, there is a rumor that MMA, the son of BoxeR, is being demoted to team B. The fact that MMA had not made any appearance with the team in GSTL until the final just further reinforced the rumor. Despite there is much speculation about the reason behind it, SlayerS has never released any official statement. The most convincing reason is that MMA has lost his passion for progaming, and has not been training as hard. Although there is no confirmation, it is believed to be the truth of the incident. Did anyone realise that he does not smile anymore? 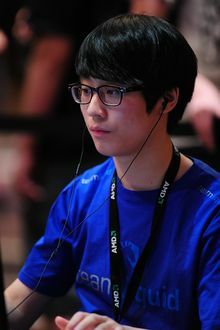 Both Ganzi and Taeja moved to Complexity and Liquid respectively in March 2012. Both were less celebrated than MMA when SlayerS was most presented in GSL Code S last year. Ganzi has not made any significant breakthrough since he joins Complexity. 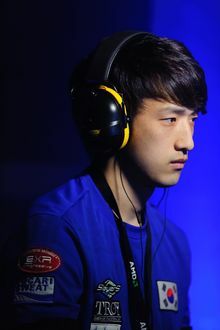 However, unlike Ganzi, Taeja has turned from a Code A struggler to a Code S performer. Being one of the two Terran in the RO8 in Code S certainly makes him one of the best Terran in the world, and his recent victory in MLG will only improve his CV. There is no doubt that his best days aren’t with SlayerS. I was surprised when SlayerS recruited Clide last year because of their already Terran saturated roster. 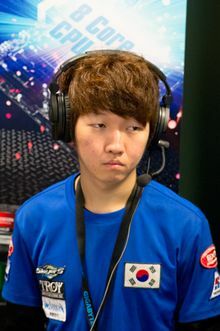 Clide was one of the most consistent player in SC2 and was (probably is) one of the favorite players of Tastosis, he never looked like he would win something. 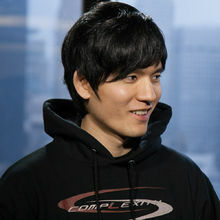 I had high expectation for Clide when he moved to SlayerS as there are so many good Terran players to help him out. 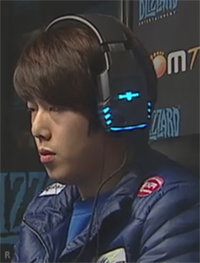 However, Clide had never gotten back to GSL since he dropped out of it last year. He was recently announced as a coach for KT Rolster. The backbone of the team has shifted from Terran to the other two races. Puzzle has become the ace of the team in GSTL and CoCa is looking strong since he is back from suspension. The future doesn’t look bright for the Terran in SlayerS. MMA will be in Code S next season, and I hope that he will at least get to RO16. Ryung will have to win his Code S ticket in the up and down matches. SlayerS was always ahead of the metagame. SlayerS had shown the world how cost effective blue flame was, and it was eventually nerfed. The Terran of SlayerS always had showed innovative builds time after time. As of now, they are certainly fallen down the peaking order and are the late adopters of the metagame. Taeja must be having a little laugh in his Liquid jersey now.